Click on image to the left for a Bird's Eye view of the usefulness of UAV imaging. Simple imaging both still and video including more complex photogrammetry and IR thermography services are available. UAVs are technologically sophisticated and adaptable for many uses. The images on the left are an example of a photographic survey of the condition of a roof. These images are geo-taged and suitable for real estate agents and tax assessors and especially insurance adjusters to assess roof damage. Cost for a set of images starts at $75.00 and are emailed to the client. The image on the left is a Quick-Shot. 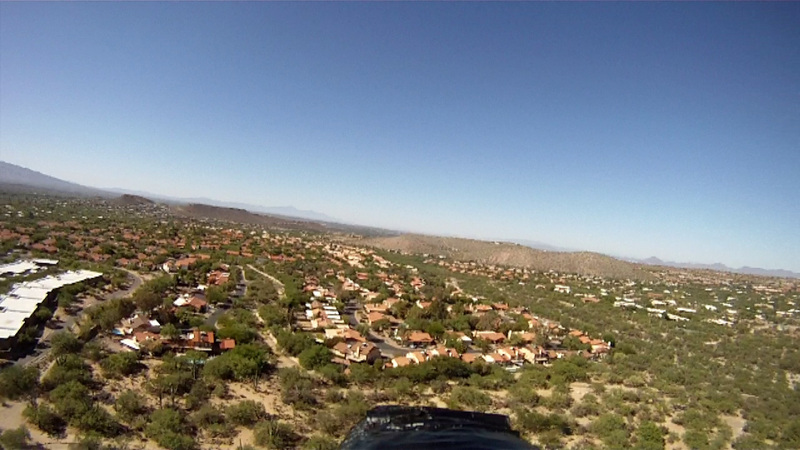 A Quick-Shot image is of the entire property taken at an appropriate altitude. This is photometric in that it is an actual image showing structures as they are in reality. Relative measurements and placements of objects in the image can be made. Cost of a Quick-Shot starts at $15.00 and includes a digital copy of the image emailed to the client. All missions are insured and flown by a licensed Part 107 pilot. Client may specify the actual mission to be flown as to what images should be included in the image package. All images include date, time and GPS location. We use a variety of UAV platforms depending on the mission requirements...quadcopters, hexacopters and fixed wing UAV with media resolution up to 4K. Additional services include UAV flight instruction, educational STEM activities and mission consulting. The use of UAVs for various scientific, educational, consumer and commercial users such as municipalities, contractors, law enforcement, surveyors, real estate agents/photographers, archaeologists, farmers, search and rescue personnel or geologists is advancing at a rapid rate.